Constipation is a common symptom affecting bot children and adults alike. While some of the diseases that cause constipation are known, the vast majority of constipation cases do not occur due to any disease. In fact, the cause of a significant portion of constipation cases are never identified. It is believed that in many of these unknown cases the problem lies with dietary and lifestyle factors rather than with any disease. Some foods can cause constipation and it is now known that milk may be a cause of constipation in some children. Milk constipation, or constipation with any dairy products, is a where the bowel movements become very infrequent and with hard stools that are difficult to pass after consuming milk or dairy products. 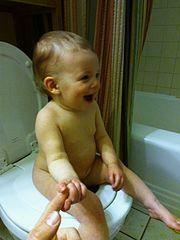 It is more commonly seen in children although some adults may also experience constipation after drinking milk. Although this association was noted for decades it has only been in recent years that studies have shown a link between constipation and milk. Fortunately milk constipation is not serious. It can be easily remedied by stopping cow’s milk and related dairy products. There are a number of alternatives which can ensure that a child acquires sufficient nutrition without having to consume cow’s milk. However, many parents are still unaware of this link between milk and constipation in children. Often childhood constipation can be extremely uncomfortable for the child and frustrating for the parent and milk constipation should be considered as a possible cause if the child is consuming cow’s milk. Despite its purported health benefits, cow’s milk is among the common allergenic foods. This simply means that some people will react to the presence of cow’s milk in their bodies. An allergy is where the immune system reacts to an otherwise harmless substance. The immune system sees this substance (allergen) in the same way as a invading microorganisms and reacts to its presence. It leads to inflammation at the site of the allergen and in some cases the inflammation can spread throughout the body (systemic). Constipation after drinking milk is not the same as lactose intolerance. In lactose intolerance the body lacks the enzymes that are needed to digest the milk sugar lactose. As a result milk remains somewhat undigested in the bowels where it causes a range of digestive symptoms such as bloating, flatulence, abdominal cramps and diarrhea. With a cow’s milk allergy, the immune system reacts to the presence of milk and specifically the milk proteins in the digestive tract. The reasons why constipation occurs with a cow’s milk allergy is not completely understood. It is thought that the cow’s milk in the bowels elicits inflammation and leads to swelling of the intestines. This intestinal swelling may therefore be the reason for the constipation. However, most cases of constipation occur for reasons that are unclear but is not due to any disease. This is known as functional constipation. A milk allergy could also contribute to this type of functional constipation. Passing stool infrequently – less than 3 bowel movements a week. Symptoms may not always be as obvious in infants as they are unable to express their discomfort. However, parents should take note of symptoms like excessive abdominal bloating, abnormally loud bowel sounds, crying for no discernible reason and changes in appetite. The symptoms would typically arise a short while after drinking cow’s milk. Atopic dermatitis – dry skin, itching, red rash. Allergic rhinitis – frequent sneezing, runny nose and nasal congestion. Asthma – short of breath, wheezing, less physically active. Medical treatment should not be the first course of action unless complications of chronic constipation have arisen. Over-the-counter laxatives are not advisable for children and should not be used even in small doses, except when it has been prescribed by a medical practitioner. Usually dietary and lifestyle changes will suffice to treat milk constipation. However, in some cases there may be more than one contributing factor to constipation, all of which need to be treated before the constipation resolves and normal bowel habit returns. Dietary changes and milk substitutes are discussed below. Lifestyle changes are not always simple to institute for children. Physical activity increases movement through the bowels and can therefore be helpful. It can be as simple as running around and playing for longer hours. A gentle abdominal massage may also help but should only be done with a pediatrician’s approval. If a child is toilet trained, he/she should be encouraged to sit on the toilet for short periods at regular daily intervals in order to train the bowels. The dietary approach to managing milk diarrhea in children depends on the age of a child. Usually cow’s milk is only introduced into the infant’s diet after solids are being consumed. Therefore there are several other foods that need to be included into the diet to assist with normal bowel habit. Cow’s milk including dairy products must be stopped immediately. 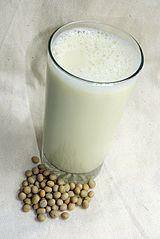 Instead cow’s milk should be replaced with soy milk provided that the child is not sensitive to soy. Never use creamers or other types of dairy substitutes as the main form of nutrition for children. Ensure a balanced diet containing sufficient carbohydrates, proteins and fats from diverse sources (plant and animal) to ensure adequate nutrition to replace the cow’s milk. Avoid other allergenic foods such as wheat, soy, eggs and nuts. While these foods may not always cause constipation it could possibly exacerbate underlying allergic conditions of the skin and airways. Plenty of water and fiber should be included in the diet. It helps to soften stools and aids with movement of food and waste through the bowels. Oral rehydrating solutions may be necessary for dehydrated children but should only be used as prescribed by a medical professional. A pediatrician and a pediatric dietitian should always be consulted for the ongoing management of constipation due to cow’s milk allergy.